For over a year now, Too Good For Radio has compiled the 100 best EDM, indie, and hip hop songs from each month. After a full minute of serious reflection, I’ve decided to tighten things up a bit and showcase around 50 songs each month instead; this month includes 60 tracks. 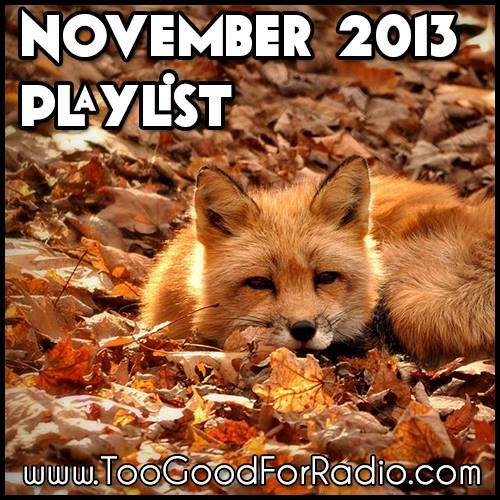 Enjoy the download and stream of the November 2013 playlist, featuring over 4 HOURS of the best free music from extremely talented artists and producers.